Looking for the most romantical Valentine Present? 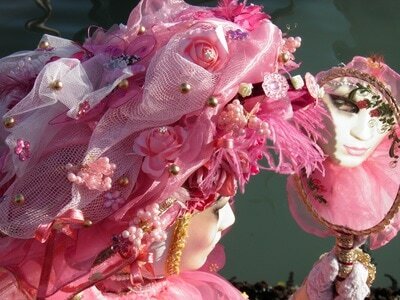 A Venetian masked carnival ball is in a Venetian Palazzo is an enthralling experience. 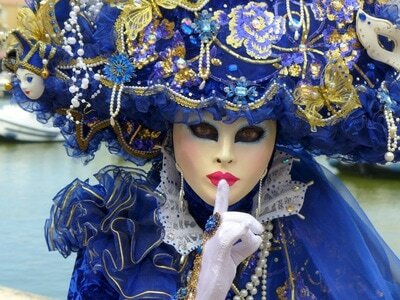 Apply for an invitation to a real Venetian Masquerade Carnival Ball and surprise the (wo)man you love. There is no better way to show someone how much you appreciate him or her. Imagine your loved one and you being dressed as a Princess or Prince in a beautifully embroidered costume in deep colors, embellished with lace, gold or silver. The masks make your appearances even more intriguing. ​If you have special wishes, you can tell your hosts, the Russolo Family. They will do everything they can to fulfill them. 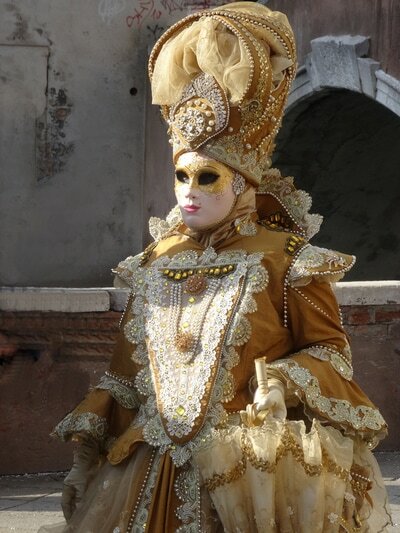 ​On this website we highlight the three Venetian balls given by the Russolo Family and explain how to get invited. Don't wait too long, the invitation lists fill up quickly. The Ball of Dreams is already fully booked, only After Party entrance is possible. As a Valentine gift we recommend the Grand Ball Carnival in Love. There are still enough hotel rooms and (low fare) flight tickets to Venice Marco Polo airport available for the weekend of 2 March.